Injuries on the job are surprisingly common, with approximately 5.2 million workplace accidents and injuries reported each year. Despite the high occurrence rates, however, many individuals are ill-prepared for when a workplace accident happens to them. Failure to prepare can be a costly mistake. If you are not aware of what to do after a workplace accident, the information shared with you in this post should give you the information you need to ensure a successful recovery once you file a workers’ compensation or personal injury claim. Not Reporting the Injury Right Away: While it would be in your best interests to report the accident as soon as it happens, Florida law gives you 30 days to file an incident report with your employer. Some injuries are latent and symptoms may not reveal themselves until closure to 30 days, in which case a delay is understandable. However, if you want to increase your chances of being awarded a settlement, you should report an incident as soon as it occurs, even if it did not result in any obvious injuries. Failing to Disclose Previous Injuries: In addition to reporting your most recent injury right away, you should always disclose any information about past work-related injuries. Even if the previous accident did not result in any major injuries, and even if your newest industry is in no way similar to your old one, you still have an obligation to include it in your report. Failure to report it could result in denied benefits or worse, allegations of fraud, which would mean that you would be forced to repay any past workers’ compensation benefits. You may be wondering why the insurance company needs to know about past work injuries. This is because it will likely use the information to fight your claim on the grounds that your newest injury was a pre-existing condition, or a Major Contributing Cause. This is a common defense, and though it can create a lot of headache for the claimant, an MCC is easier to fight than a fraud charge. Failing to Report All Injuries: You may sustain more than one injury in a work-related accident, with some more serious than others. Though you may not feel like reporting your more minor injuries is necessary, it is if you hope to prevail in your case. Not reporting a seemingly minor injury that later flares into a big problem can make it difficult for you to recover the compensation you need to treat the condition, as bringing up injuries after the fact can make it look as though you are trying to claim more than you are entitled to, which, again, can amount to workers’ compensation fraud. In addition to reporting all physical injuries, you should also report adverse invisible symptoms, such as blurred vision, headaches, loss of motor functions, stomach issues, etc. Attempting to Win Without Representation: You may believe that an injury is the only proof you need to win benefits and that you do not need to hire an attorney to help with your case, but that belief could be the reason you lose your case. Most employers and their insurance companies will be represented by attorneys, who will be advising them on what needs to be done to reduce the amount of compensation you are to receive. You should arm yourself in a similar fashion and hire an attorney. An attorney can reveal any loopholes that the opposing party might try to use and build a defense against them. In short, an attorney can ensure that you receive the maximum amount of compensation possible for your injuries. 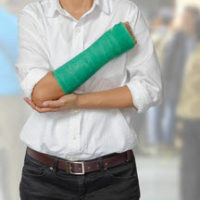 If you were injured in a work-related accident, schedule a consultation with a Miami work accidents lawyer right away. The consultations are free, and at the very least, you can learn more about what to expect from your case and what your chances are of winning a fair settlement. Contact Spencer Morgan Law to schedule your free consultation today.